Apple Marketing SVP Phil Schiller has been known to take to Twitter in the past to voice his views on rival platforms, and today the Apple executive is once again taking a jab at Android through his Twitter account. 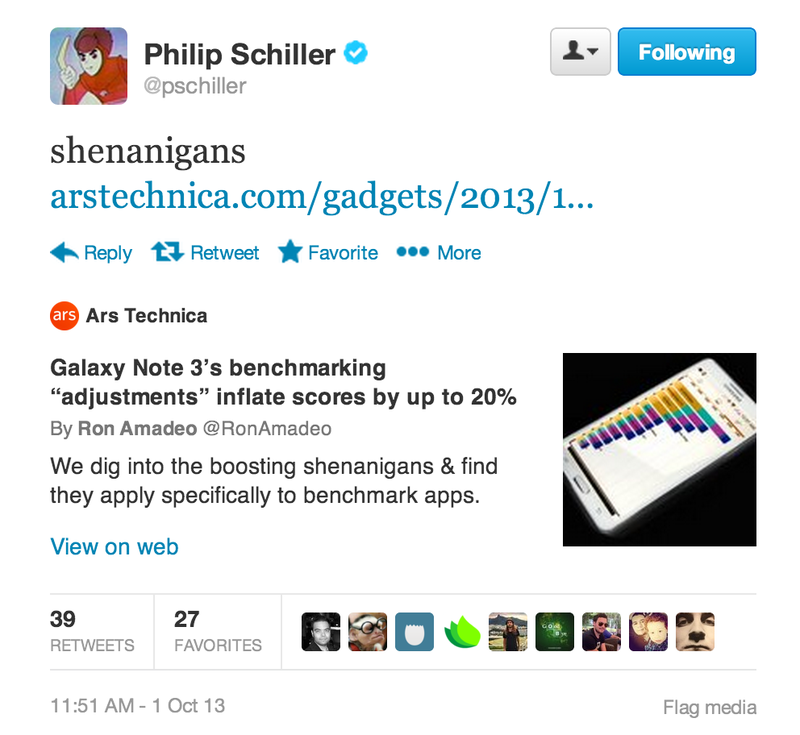 Today, Schiller points us to some more Android “shenanigans” with a link to a story from ArsTechinca about inflated Galaxy Note 3 benchmarks. Earlier this year Schiller took another shot at Android on Twitter by tweeting the words “Be safe out there” with a link to a study showing a much higher number of threats on Android compared to iOS. Schiller isn’t the only Apple executive on Twitter as earlier this month CEO Tim Cook started communicating with customers for the first time through his official account.